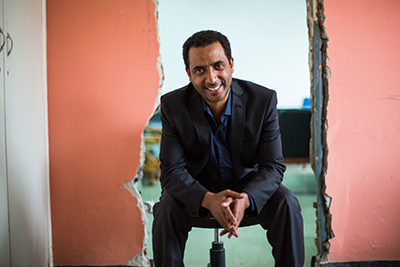 ADDIS ABABA, Ethiopia—Chunks of red brick and plaster are piled up on the floor of Zerihun Abebe’s new office. Just hours ago, workers knocked a jagged rectangular opening in the peach-colored wall, creating an entryway to the room next door where his assistant works. Things have changed drastically. The sprawling capital is booming, and Ethiopia has one of the world’s fastest-growing economies. St. Paul’s has become a national model for change, and Zerihun wants to keep breaking down barriers. He wants to improve medical education, expand services and stop the brain drain that has long plagued his nation. A key partner in the ambitious reforms is the University of Michigan. The most telling thing about Zerihun’s new office is the reason why he moved into it. He gave up his old spacious workspace so that it could be part of a new expanded emergency room. The previous ER was ridiculously small for the capital city’s exploding population. For the past two decades or so, Ethiopia’s cash-strapped government’s strategy has been to focus on the prevention of malaria, tuberculosis, HIV and other communicable diseases. The emphasis was on training low-level medical workers and opening small clinics to deal with the illnesses. The nine that now serve Addis Ababa were all built during the rule of Emperor Haile Selassie, who was deposed in a coup 40 years ago. Only 800,000 people lived in the capital then, but now the population has swelled to 5 million. Ethiopia has a good grip on preventative care now and even plays a role in assisting other countries in Africa, Zerihun said. The looming crisis is in chronic care. People are living longer, eating more, doing less and getting fat. “If you go to any hospital ward now, you’ll see heart disease, malignancies, cancers, diabetes, obesity and the like. It’s coming,” he said. Building more hospitals and medical schools is the focus of the government’s new health-care policy. 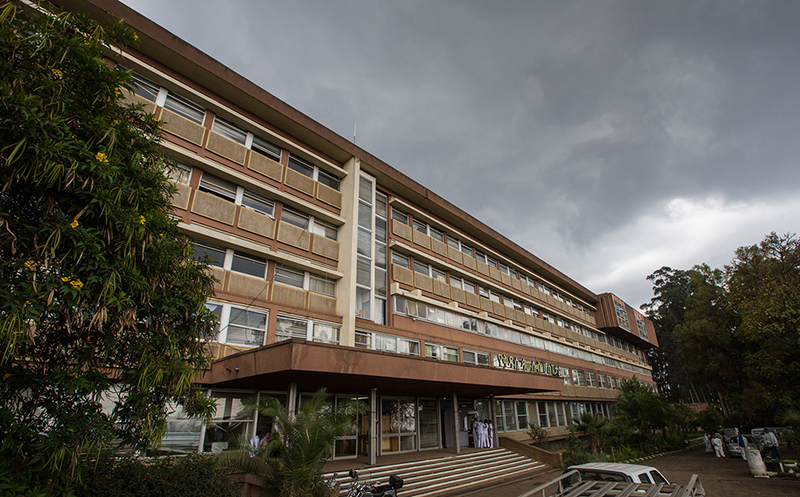 St. Paul’s was the third-biggest functional hospital in Ethiopia when Abebe took over as provost in January 2014. But there are three or four scheduled to open soon, so St. Paul’s will soon drop to the No. 7 biggest. St. Paul’s is in northwest Addis Ababa, a subtropical city at the foot of Mt. Entoto. The streets are clogged with puttering blue Russian-made Lada taxis and white Toyota Land Cruisers, favored by the United Nations and other NGOs. Concrete high-rises covered in scaffolding made of wood poles are being erected all over the city, dwarfing the surrounding shantytown neighborhoods. A mass-transit system is being built on elevated tracks. Despite the creeping cosmopolitanism and modernity, it’s still common to see a shepherd guiding a herd of shaggy goats through rush-hour traffic. St. Paul’s is a collection of low-rise stucco, concrete and tile buildings connected with roads made of cobbles or packed dirt and gravel. There’s a new dormitory and administrative building with a medical library. The hulking concrete skeleton of a children’s hospital is going up in the middle of the complex. There’s much more to come. A large billboard shows a picture of a new gleaming medical campus with tall white buildings to be built at an unspecified date. Seven years ago, St. Paul’s opened a medical college that now has 750 students. The obstetrics and gynecology department has grown from two physicians to 11. The surgical department has expanded from four surgeons to 15. A radiology department was founded last year along with ophthalmology and pathology departments with residency programs. U-M has been a close partner in the dizzying growth. 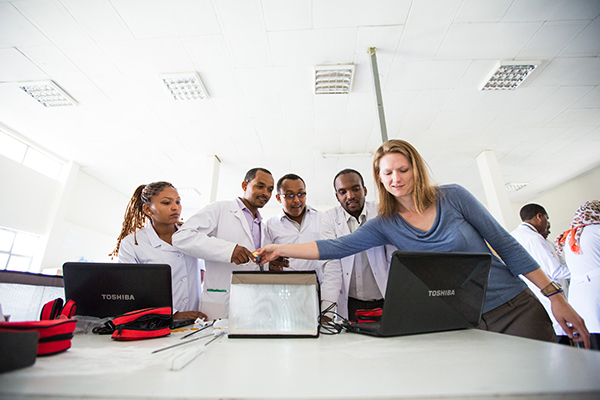 Within the university’s Medical School alone, nearly 50 investigators from 15 different departments are involved in research in Ethiopia. Their interests include family planning, organ transplant, surgical simulation, medical education, post-graduate training in various specialties, triple-negative breast cancer and heart disease in pregnancy. Ethiopia can also be an eye-opening experience for U.S. physicians when it comes to practicing cost-effective medicine, says Beth Skinner, who specializes in minimally invasive gynecologic surgery at U-M. She has been to the country three times, spending a week each visit doing training and surgery at St. Paul’s. The experience has inspired her to rethink her own views about medical care. Skinner has been especially impressed with the efficiency of Ethiopian surgeons. “They are very expeditious in the operating room. They are very ‘start, stop, done,’” she said, adding they have to be this way because they have a big caseload and it’s expensive to keep patients under anesthesia for a long time. Ethiopian doctors often don’t have the fancy, high-tech equipment common in the U.S., so they improvise, using everyday items, such as condoms, in the operating room. A good example of this is how they perform laparoscopy — a common procedure in which the surgeon goes into the body through a small incision to remove a cyst, tumor, tissue or some other mass. In the U.S., physicians use a relatively expensive device that captures the tumor in a special bag before it’s pulled from the body, protecting the patient from nasty stuff if the tumor ruptures. 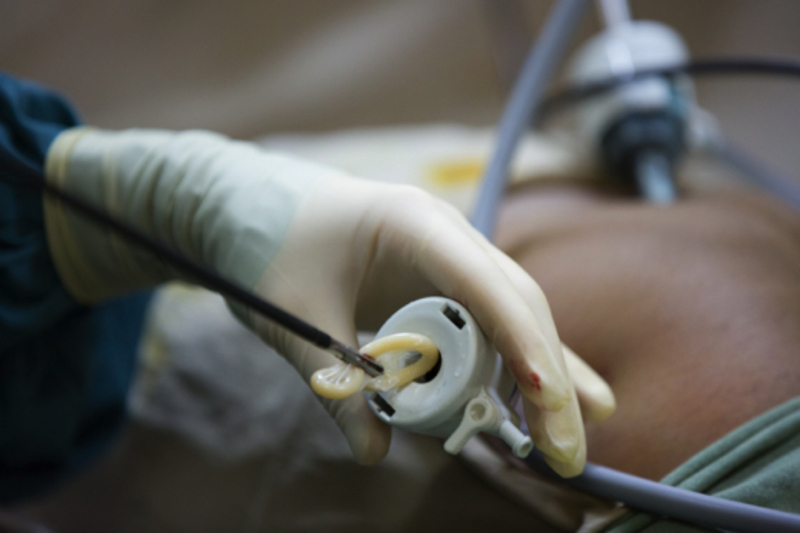 In Ethiopia, surgeons just use a rod, tube and a condom, which costs just pennies. To be sure, the U.S. has higher standards of sterilization and multiple safety checks in the operating room. This can slow things down and increase costs. 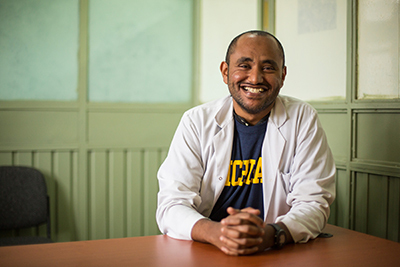 Just how U-M got involved in Ethiopia’s medical revolution is a fascinating story involving passionate people, coincidence and Ghana – a nation on the opposite side of Africa. It all began nearly 30 years ago when Tim Johnson was a young faculty member in obstetrics and gynecology. Global medicine wasn’t all the rage then as it is now, so Johnson had no plans to go overseas. But when one of his colleagues who was supposed to give a speech in Ghana got sick and couldn’t go, Johnson took his place. “I was in Ghana for a week, and I fell in love with the people, the place and the possibilities,” Johnson said. This was 1986 when Ghana only had two medical schools, and there were only five OBGYN doctors in the country serving a population of 12 million. The government was trying to train more by sending them abroad, but few were coming back. The key to stopping the brain drain was offering doctors training and other opportunities to advance their career at home. So Johnson helped set up an OBGYN training program in partnership with the University of Ghana Medical School in the capital, Accra, and the Kwame Nkrumah University of Science and Technology School of Medical Sciences in the south-central city of Kumasi. The partnership has been a huge success. From 1989 to 2013, 142 doctors have been trained and 141 of them are still in Ghana. Several have become deans and members of parliament. The country suffered a famine in the early 80s that killed 400,000 people. Tens of thousands of people were imprisoned and executed by the Derg, eventually overthrown in 1991 after years of civil war. Senait remembers walking past dead bodies on her way to school. Fisseha eventually earned degrees in law and medicine at Southern Illinois University. She was planning to do her residency in OBGYN at Johns Hopkins University and had no interest in moving to Michigan. But her husband, who was doing his residency in urology at Wayne State University in Detroit encouraged her to check out U-M so that they could be closer together. When she visited U-M, Fisseha met with Johnson and wasn’t familiar with his work in Ghana. We’ve done a great job expanding training. But I would like St. Paul’s to be the premier institution in Ethiopia, if not in East Africa. We’ve done a great job in training. We’re beginning to expand with research. Although Johnson wasn’t ready to go to Ethiopia, he told Senait that he would support her when the time was right. Impressed with Johnson’s experience and vision, she decided to do her residency at U-M and finished in 2003. After her residency, Senait began visiting Ethiopia regularly, building relationships with academics, physicians and government officials. She got to know the country’s health minister at the time, Dr. Tedros Adhanom Ghebreyesus, who is now foreign minister. Impressed with U-M’s work in Ghana, Dr. Tedros began discussing a partnership with U-M in 2011, and the relationship developed quickly. A key part of Johnson’s vision was creating a “South-to-South engagement” with countries in the emerging world—the “South”—helping each other. 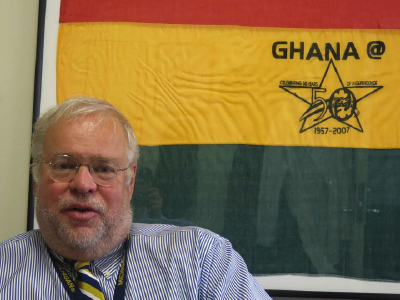 He wanted U-M’s partners in Ghana to play a key role in developing the relationship with Ethiopia. He asked Senait to make sure they were involved in developing the program, and several of U-M’s partners in Ghana have participated in training sessions at St. Paul’s. This is one major factor that has made the Ethiopian initiative so unique and impressive. 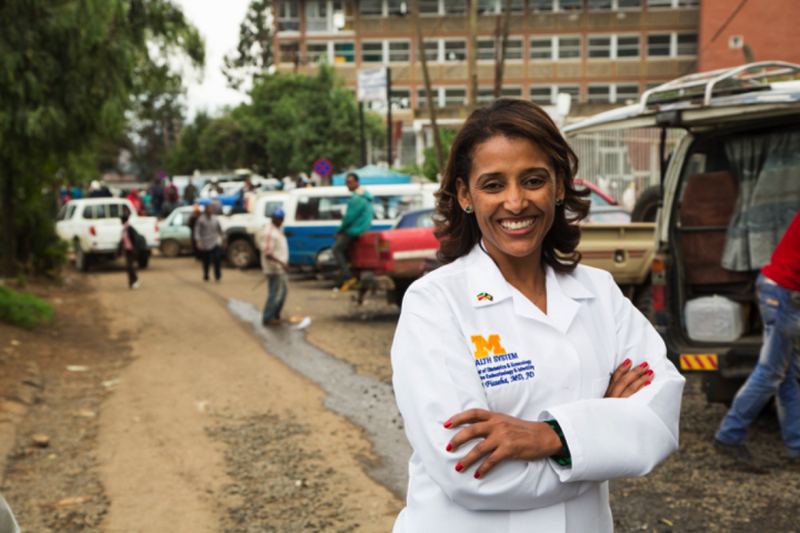 Senait recently received $25 million from an anonymous donor to establish U-M’s new Center for International Reproductive Health Training, which will train doctors in Africa. One thing St. Paul’s hoped to learn from U-M was the latest approach in training doctors. The hospital opened its medical school in 2008 and now has 750 students. In Ethiopia, students begin medical school right after high school and the program lasts six years. After they graduate, the young doctors are required to spend about two-to-four years practicing as primary care physicians as part of national service before beginning a four-year residency program. Medical schools are under great pressure from the government to rapidly ramp up the number of students they’re taking. When St. Paul’s opened its school seven years ago, it took in 50 students. But last year, it enrolled nearly 200 because of the national need. Now, the school hopes to decrease the number to 150 to maintain quality. 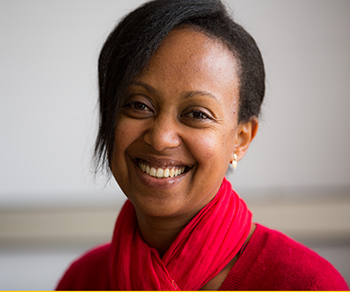 “Sometimes it sounds too ambitious, but we have to make it,” said Lia Tadesse, vice provost for academics and research at St. Paul’s. U-M has helped set up a residency program for OBGYN that has become a model for other new residency programs at St. Paul’s. It has also been growing rapidly. Within three years, the faculty has quintupled, from two to 11. The approach is radically different from the way doctors were trained just a few years ago, said Lia, who finished her OBGYN residency in 2006. Lia also recalled that during her residency, there was no clear curriculum. She was unsure about what she was supposed to know during the first and second years, so she tried to learn everything. “Now, we make sure each year the residents know what is expected and how many procedures they observed and did by themselves,” she said. Thomas Mekuria was in the first batch of residents. One of his favorite things about the program is the mentors assigned to each student. Until now, St. Paul’s was so busy setting up the medical school that there was little time to focus on research. That’s beginning to change and the institution is using its collaboration with U-M to develop its research capacity. It has created a series of training sessions on methodology for faculty and residents. 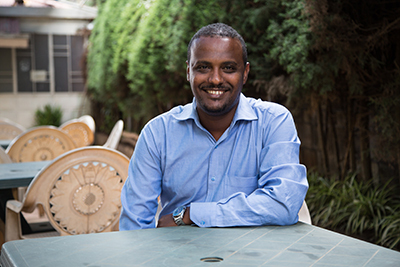 Providing the opportunity to do research with other scientists worldwide is a key piece of St. Paul’s efforts to address Ethiopia’s brain drain crisis and retain doctors who might be tempted to work at private hospitals that offer higher pay. The approach is working on Malede Birara, a physician in St. Paul’s OB-GYN department. His parents, brother and even his wife think he’s foolish for not practicing medicine at a private clinic, where he could be making six to seven times more money. But the doctor continues to work at St. Paul’s because he wants to keep doing research. “There are few private hospitals that give you the opportunity to grow in your academic area,” he said. Public hospitals are also opening private wings where doctors can see your own patients who can afford to pay more for special treatment. But Malede doesn’t believe that money is the No. 1 factor motivating doctors to leave Ethiopia. He thinks the most important thing for doctors is having a satisfying work environment—a place with good resources, equipment, training and other opportunities to develop. Ethiopia’s government gets this now, he said. Malede has noticed big changes in his OB-GYN department in the past couple years. They’ve added fertility services, 3-D ultrasound and endoscopy.